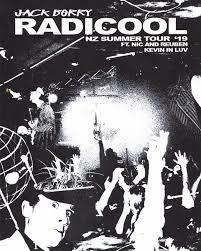 Jack Berry announce the RADICOOL New Zealand tour, featuring Hoochie World label mates KEVIN IN LUV and Nic & Reuben. 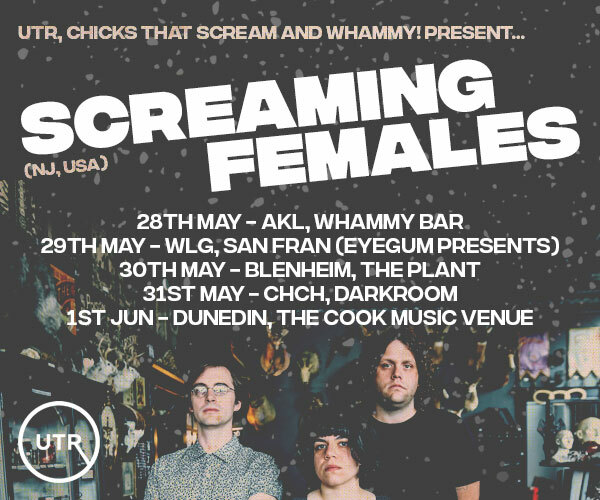 The tour spans seven shows wide, including stops at Rhythm and Vines, and the inaugural NESTFEST in Hawkes Bay. Jack Berry is Damin McCabe’s smooth, laid-back, guitar-pop alias. Born and bred in Dunedin, McCabe bounces between his studio space, friend’s bedrooms, and everywhere in between; Writing songs, producing for mates, or putting together pop-up thrift stores and sold out shows as apart of Hoochie World. As busy as this may sound, Jack Berry’s music couldn’t sound any different. Combining swirling guitars, trap-esque drums, and infectious basslines, Jack Berry will take you straight back to that lazy Sunday in the grass. Despite only having released two songs, ‘Private Show’, in late 2017 and ‘MIDLYF’ in November 2018, Jack Berry have been selling out shows all around New Zealand. As well as their own headline shows, they’ve completed a national co-headline tour with Mild Orange, played on the Huffer Anniversary Tour, supporting Kllo on the A Label Called Success hosted Red Bull Music tour, the House Of Vans show at Shed 10 in Auckland earlier this year, and supporting Set Mo for the Rhythm and Vines Soundcheck in Dunedin. With new material set for release throughout the rest of 2018 and early 2019, and plenty of opportunities to catch them LIVE this summer, you have every reason to pay attention to Jack Berry.